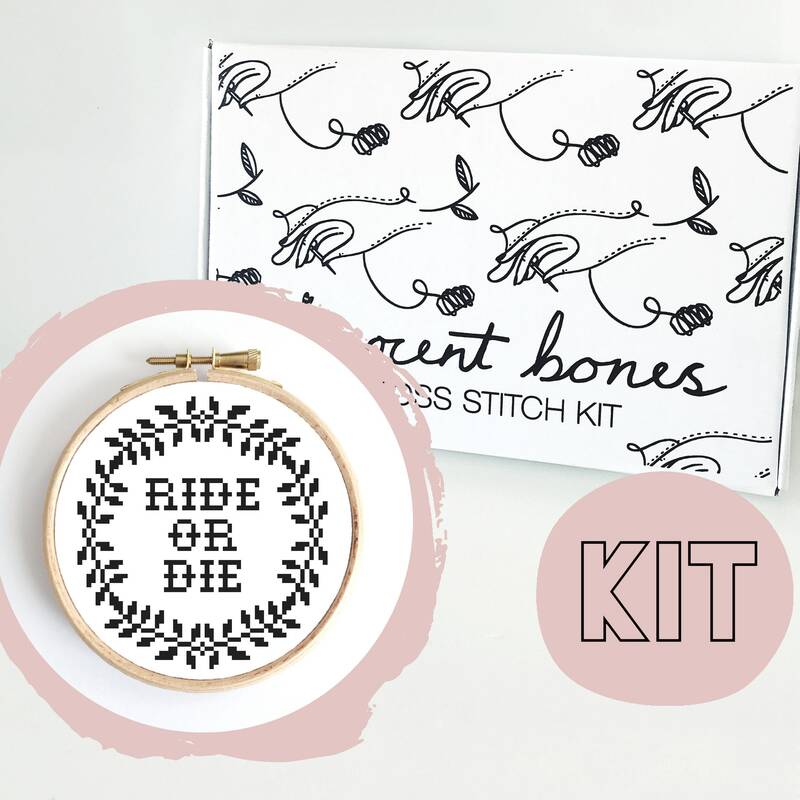 This kit would make a great gift for a crafty friend or simply stitch it yourself to decorate your home. This kit is also available in other custom colours, please just get in touch if you would like a colour chart! The kit is designed and hand made in sunny Newcastle, England and all materials are cut by hand and packaged up by me in my messy little studio! The complete kit will be posted within UK. This listing is for the cross stitch kit with everything needed for you to create this design. Please note: You are not purchasing the finished cross stitch piece. Photos of the finished cross stitch are for reference only. 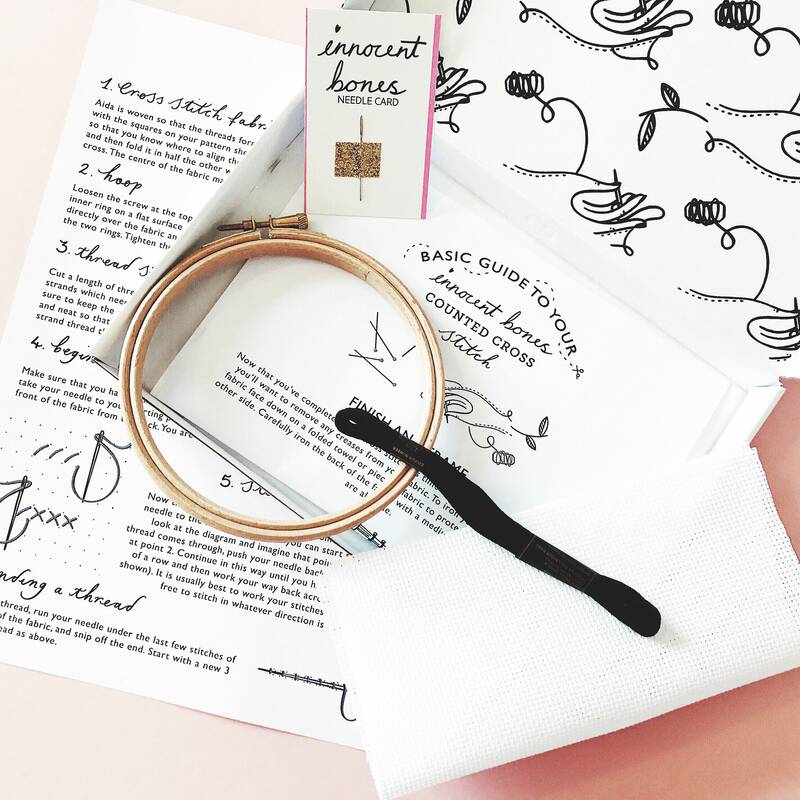 Your kit comes packaged in a lovely kraft paper box, with everything you need inside. Packaging is made from recycled materials and is also 100% recyclable. Innocent Bones patterns are for personal use only. The patterns may not be re-sold or re-distributed commercially in any manner. To use these patterns commercial use please contact Innocent Bones.